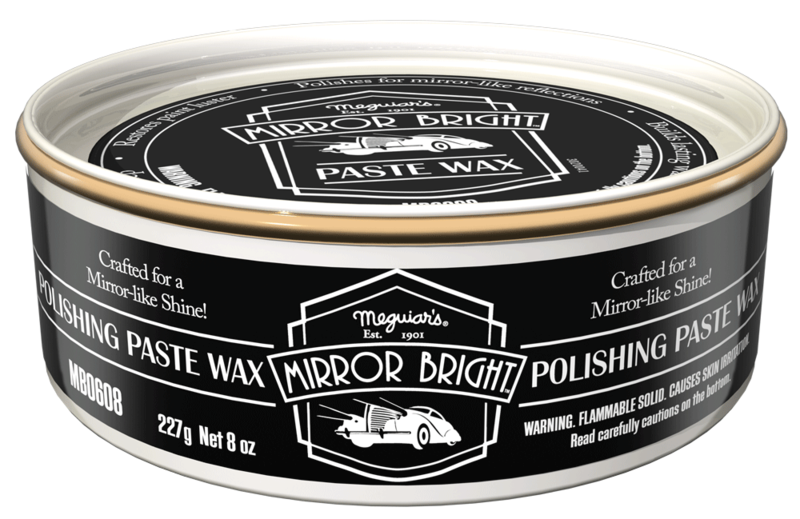 Meguiar's Mirror Bright Polishing Paste Wax is designed to restore your paint's luster while also protecting from harmful environmental concerns with this amazing formula that's been crafted to leave your paint Mirror Bright! Mirror Bright Polishing Paste Wax gently polishes painted finishes to reveal maximum gloss, depth of color & mirror-like reflections. Unique natural & synthetic ingredients deliver outstanding wax protection that locks in the shine. Safe for all paint colors & types, including lacquers, enamels & clear coats.